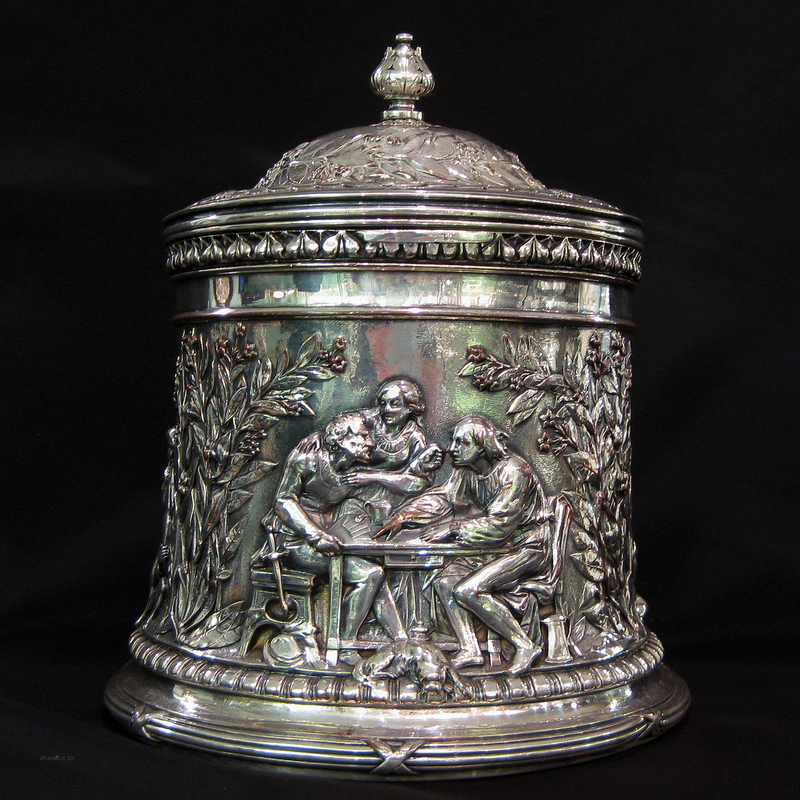 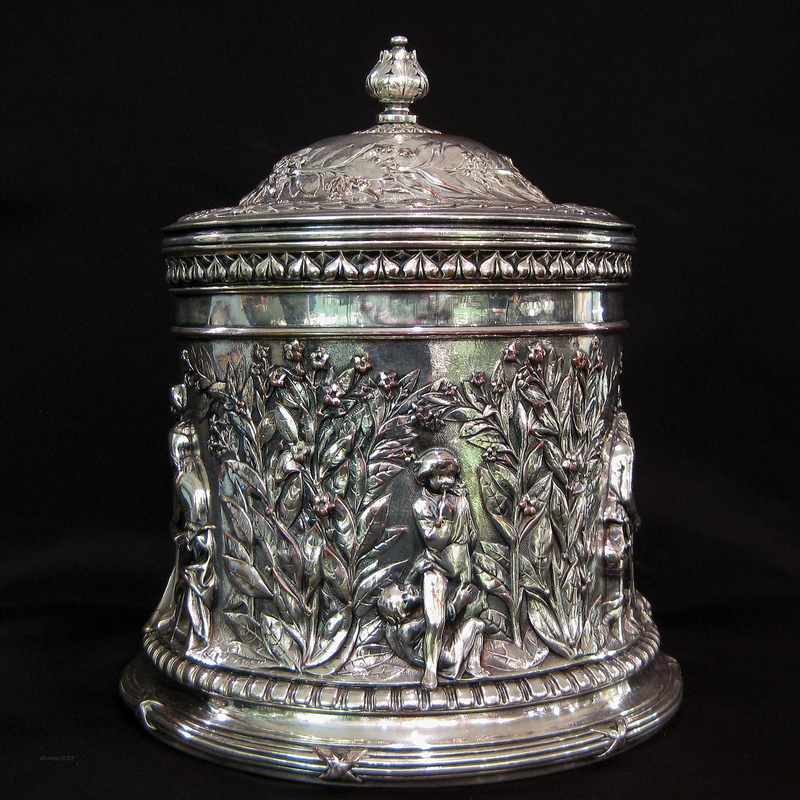 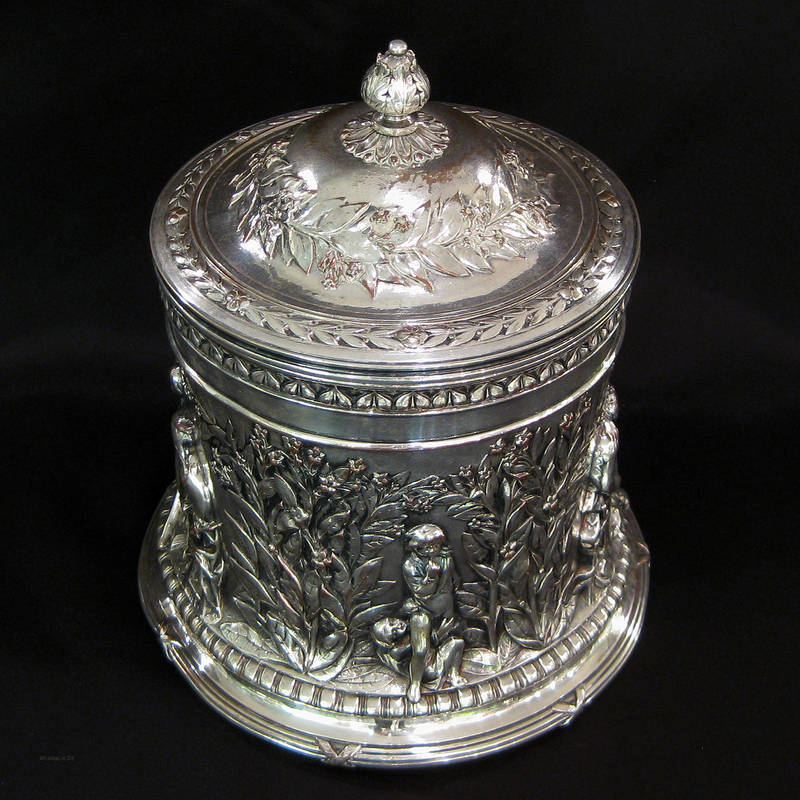 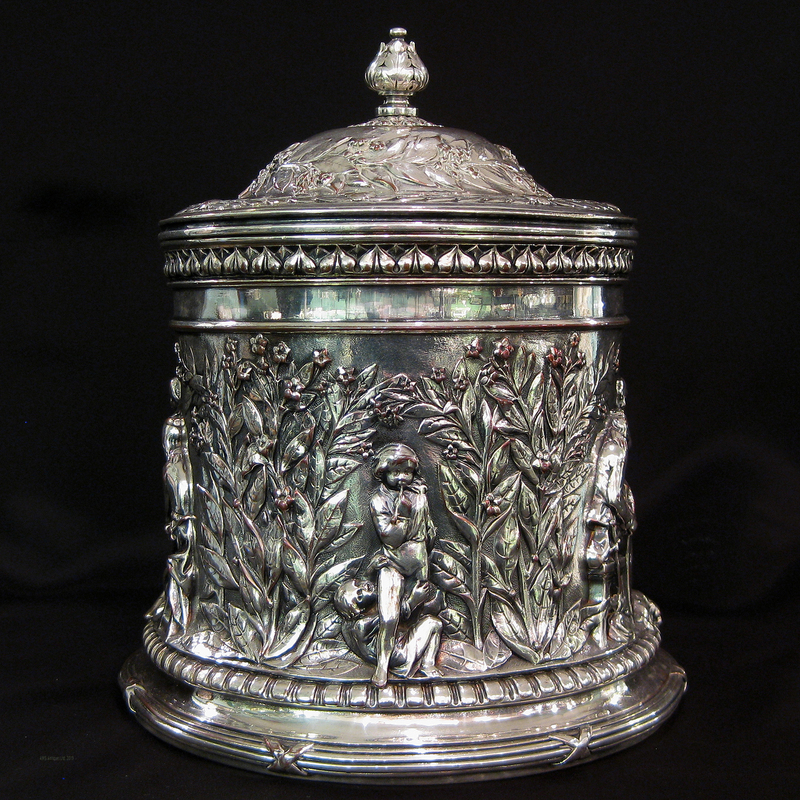 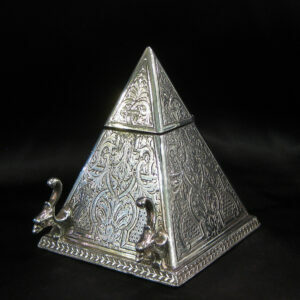 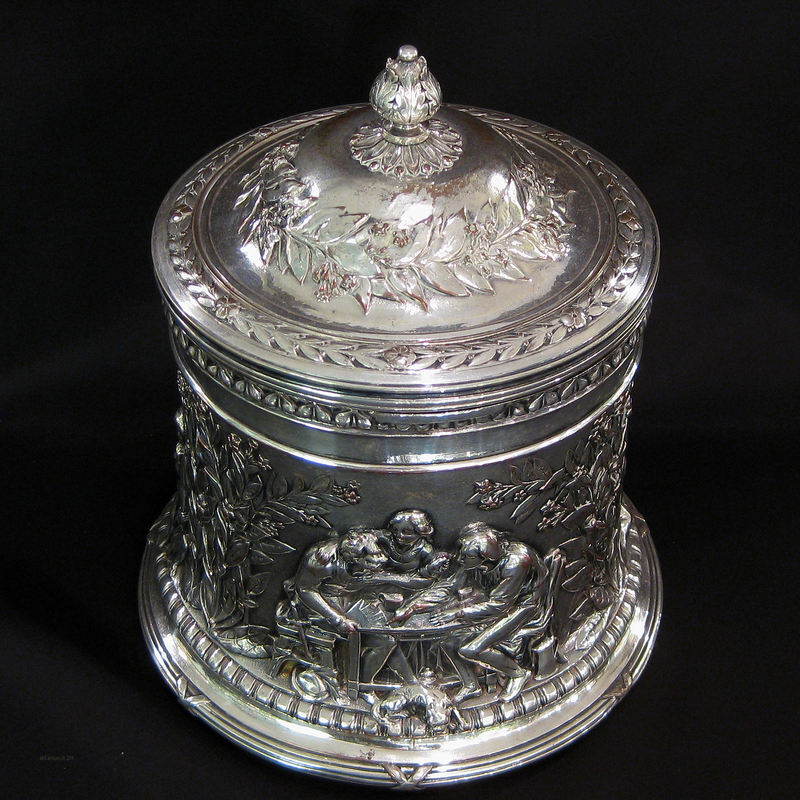 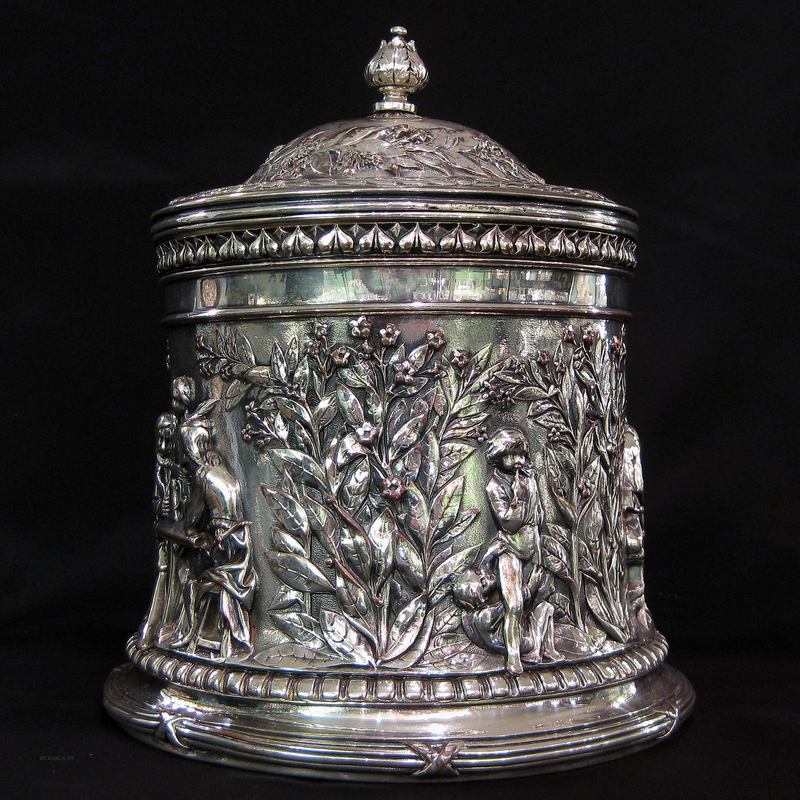 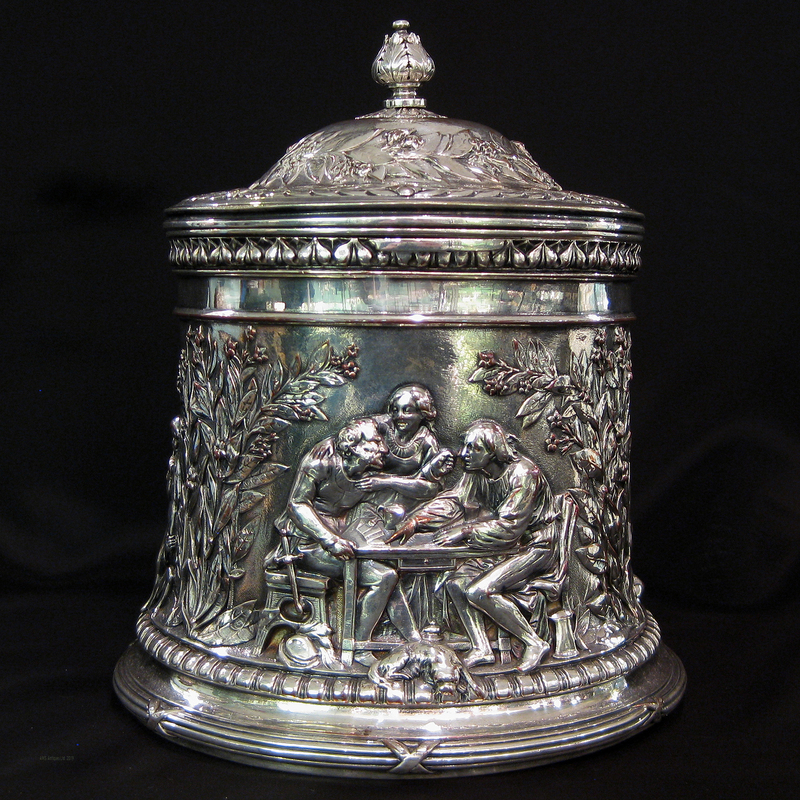 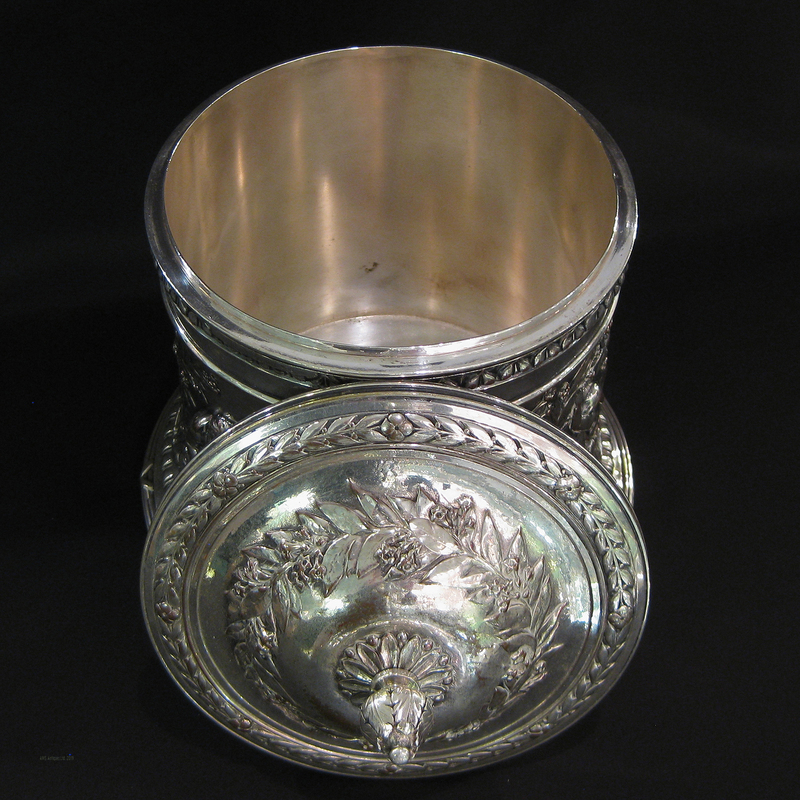 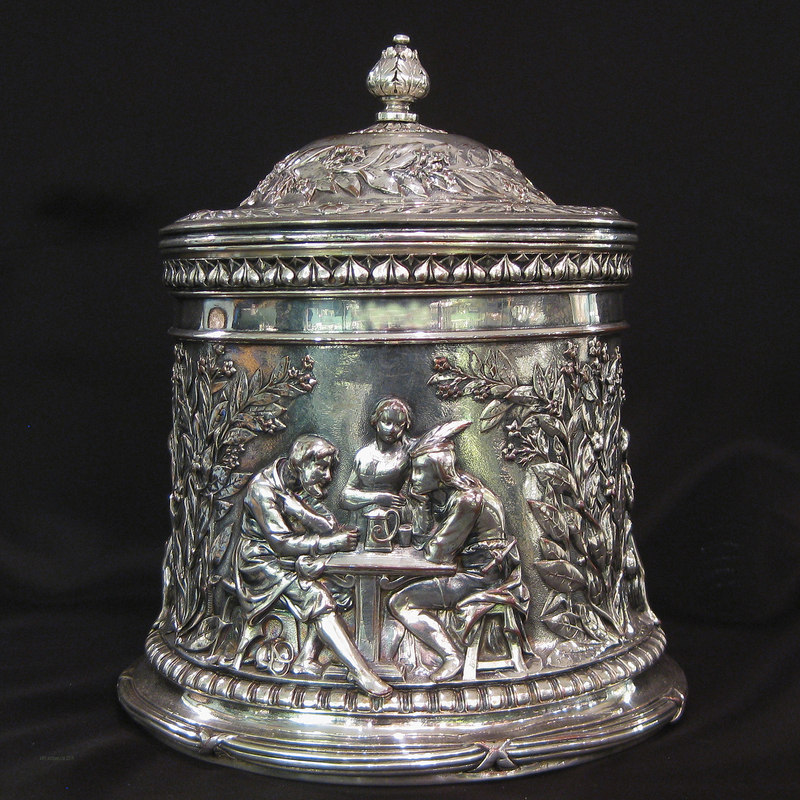 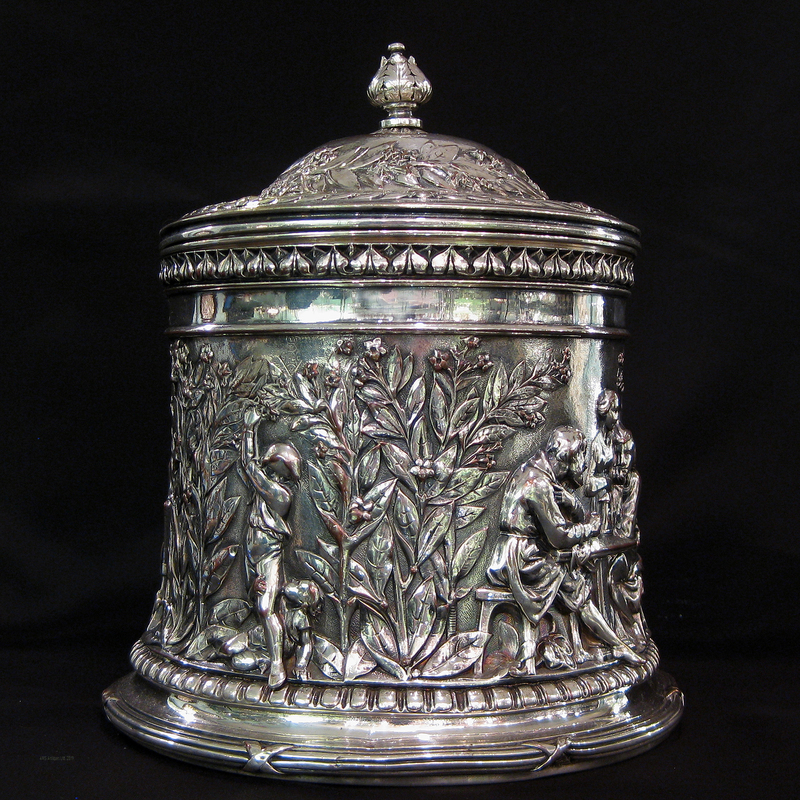 Electrotype biscuit box by Elkington & Co.
A silver plated/Eletrotype biscuit box made by the world famous Elkington & Co.
Made in Sheffield, England and dated c 1880 this example is in very good condition ,with just the ‘right’ amount of external wear and very clean to the interior. 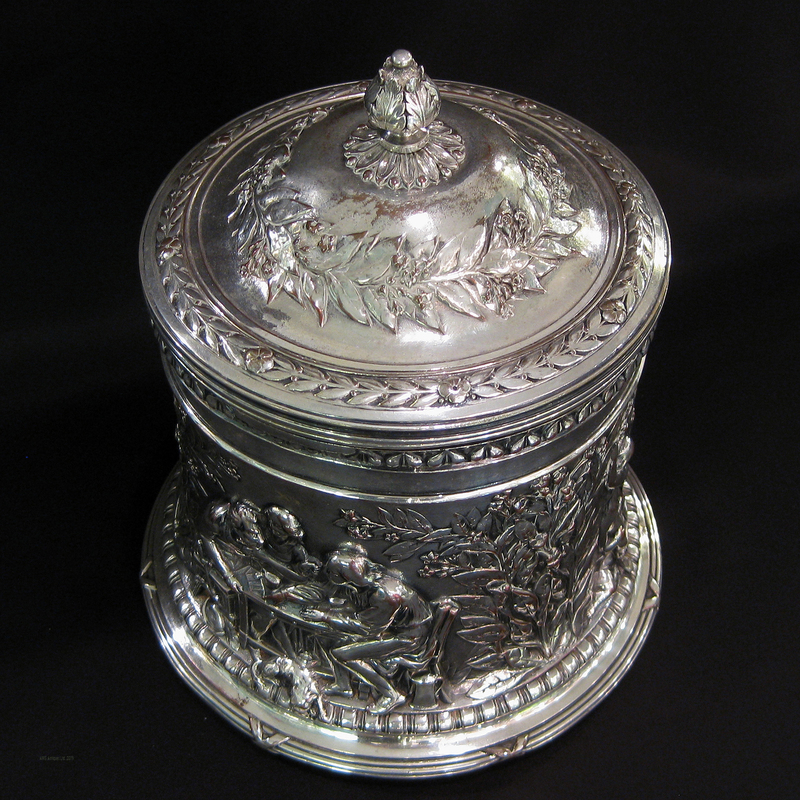 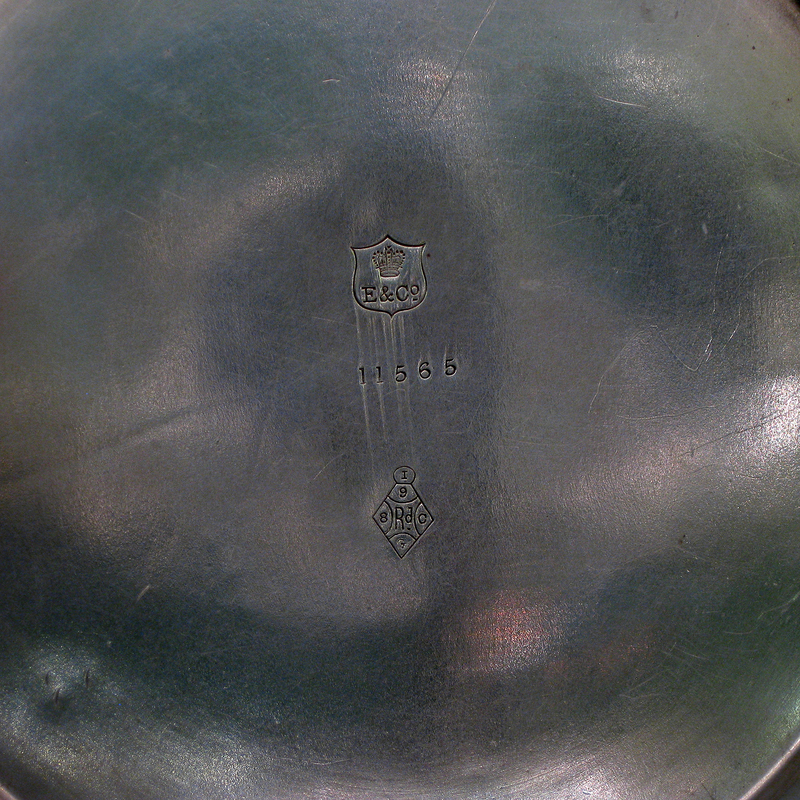 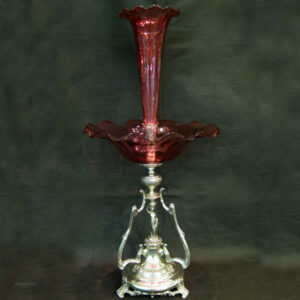 21cm tall and 18cm in diameter at the base. 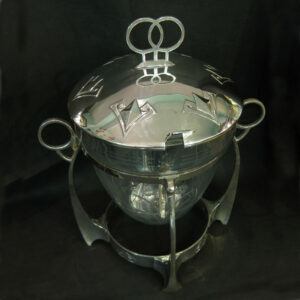 Electrotype beer/cider jug by Elkington & Co.
A rare pyramid shaped ink well and pen stand.